On 30 March 1936, the Palestinian Broadcasting Service hit the radio waves. The new service, referred to as PBS, catered to the growing population in British-mandated Palestine that included Palestinian Arabs, Palestinian Jews and the British. In this month's Mid-East Junction, we take a look at the short life of the PBS and the role it played in airing culture, news and social programmes aimed at all the three different audiences. Click on "Play" above. 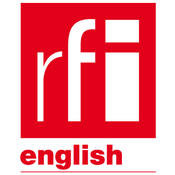 You can also subscribe to this podcast on your favourite podcast platform when you search for RFI Mid-East Junction. You can read more here. Earlier this week, Egypt’s President Abdel Fattah al-Sisi opened the country's first international security and defense expo. The event, which took place over three days, featured more than 350 contributors from 40 countries. By anyone's standards it was a big show, but does it really mean anything for Egypt? The short answer is yes. The reasons for this lies in its recent history. The glory days of modern Egypt In 1952, a revolution in Egypt overthrew the British-backed monarchy and pushed the last vestiges of foreign control out of the country. Those behind the bloodless coup called themselves the Free Officers Movement. The end result of the revolt was that Egypt, at long last, was once again ruled by Egyptians. These Egyptians, however, were the military and their new leader as of 1954 - after a moment of internal struggle - was Gamal Abdel Nasser. After the Suez Canal crisis, Nasser had successfully nationalized the Canal against efforts from the French, British and Israeli military. The victory boosted Egypt’s image as a military powerhouse. As the Cold War took hold, Egypt continued to expand its military arsenal, making it the Middle East’s most most powerful state in terms of armaments, Omar Lamrani, a senior military analyst at Stratfor, explains in his article Egypt Goes on an Arms Spending Spree. This was the golden age of Egypt’s military might. Not only was it known for its strength inside the country, but it was known for it outside the country too. However, with Egypt's defeat by Israel in the 1967 Six-Day War, the army’s reputation started to weaken. Following the end of the cold war, the creation of the Gulf Cooperation Council and Turkey’s reengagement with the region, Egypt began to lose its status. “So that role, regional role, that Egypt aspires to, as it has since the 1950s, has very much declined,” says Issandr al-Amrami, the project director for North Africa and the Middle East at the International Crisis Group. As a result of this decline, Al-Amrami explains that Egypt has begun revising its doctrine and part of that has been upgrading its military equipment and diversifying its procurement processes. Changes since 2011 Since Abdel Fattah al-Sisi took power in 2013 and then officially in 2014 following elections, the country’s percentage of arms imports jumped by 215 in the period 2013 to 2017 over the period 2008 to 2012. But if you look at Egypt’s total Gross Domestic Product (GDP) its military expenditure for the same period is, in fact, lower. Pieter Wezeman, the senior researcher in the Arms and Military expenditure programmes at the Stockholm International Peace Research Institute (SIPRI) says this discrepancy is likely to stem from the fact that military expenditures reported by Egypt possibly excludes its arms procurement and that, as a result, the overall spending on military expenditures cited in the GDP figures may exclude its arms procurement tally overall. He adds that a “significant part of Egyptian arms procurement is financed with aid from the US, Saudi Arabia or the UAE (and others). This is probably not included in the government budget [either]." This boost in arms purchases has pushed Egypt to be the third largest importer in the world of such weapons and equipment after India and Saudi Arabia as of 2017. France is Egypt's biggest supplier. In fact, at the ribbon-cutting ceremony beside President Sisi on the first day of the expo was France’s Minister of the Armed Forces, Florence Parly . Arms transfers internationally Egypt's quest to revamp its military image is nothing new. In fact, a report on the trends in international arms transfers for 2017 by SIPRI states that the overall volume of international transfers of major weapons between 2013 to 2017 increased by 10 percent over the period of 2008 to 2012. In short, countries all around the world since the early 2000s have been increasing their arms spend. Holly Spencer, from the French organization ‘Stop Fuelling War’ explains that “in European countries we see increased spending on the military, in France in particular as well. And decreased spending on social services and things like these.” The drive to acquire weapons appears to be “increasing fear with an increasing desire to show a sort of strong military front” says Spencer. In Egypt's case that spending has left the country with an external debt that has reached “a record high of €80 billion as of June 2018” says Maged Mandour in his article ‘Sisi’s Debt Crisis’. He adds that “even as the military’s spending worsened an evolving debt crisis, the regime focused on paying for it with a massive austerity drive.” This drive has included austerity measures in 2016 and then new measures on 7th of November of this year. Importance of this defense expo So is this defense expo a significant move for Egypt? “I think the focus on this defense fair [is] that the constant glorification of the Egyptian army is just [a] recurring feature of the current regime,” explains Al-Amrami. Since Sisi took over as president, the country has shown its people it is willing and able to protect them from Islamist rule, namely the Muslim Brotherhood and the the Islamic State armed group in the Sinai. In the post-2011 era, the country, under the leadership of Sisi, has been looking to rebuild the state, adds Al-Amrami. And people want to feel secure, even as the country’s infrastructure, social services and economy remain weak, because the revolutions left the country in a very vulnerable state. So moves such as buying the French Mistral-class amphibious assault ships that haven’t yet been used appear to be impulsive purchases. But as Wezeman explains that by buying these arms “it can [improve] its status.” "Defense fairs take place all the time across the globe. They are the “focal point of this industry” says Spencer. “This is where all the deals get done [and] where all the contacts are made.” It’s also the place where you show the world “that you are re-equipping and expanding your military capability” says Wezeman. Wezeman adds that it is also the venue “where you actually play your suppliers out against each other to get the best deal on the most advance equipment.” All of this is designed to return Egypt to its glory days as a regional military superpower. The thinking, as outlined by Egypt’s Defense Minister General Mohammed Zaki during the opening remarks of the fair, is that "peace must be protected by power that secures." In other words, Egypt sees strong military as synonymous with peace. Over the weekend of 11 November, tensions between the Gaza strip and Israel peaked once again, when the Israeli Defense Forces, the IDF, led a botched raid in Gaza. It was the first known time the IDF had set foot in Gaza since the war of 2014. This has raised questions within Israel about the challenges faced by its defence forces. News of the incursion was met by rocket fire from Gaza towards Israel. And that in turn was met by Israeli fire. The IDF later said the operation "was not intended to kill or abduct terrorists but to strengthen Israeli Security". The clash that resulted from the blown operation killed seven Palestinian militants, including a local Hamas military commander, as well as an Israeli army officer. A ceasefire was brokered by Egypt on 13 November. In response to the truce, Israel’s Defense Minister, Avigdor Lieberman resigned, saying such an agreement was "capitulating to terror". "I think it is crazy, that in 2018 our only option about the Gaza strip is to fight with them with less or more ammunition…” says Nadav Weiman, a former IDF soldier and advocacy directory of Breaking the Silence, a group that is set on ending what it sees as the ongoing military occupation of Palestinians through questionable tactics and operations. But Gilad Segal doesn’t agree. He’s also a former IDF soldier but reservist now, and a member of an organization called My Truth that works to undo perceived biases in the media and outside of Israel on the role and work of the IDF. "What happened that eventually led to the [resignation] of the security minister […] we believe that it's something that comes from weakness in Israel to solve the situation which leads eventually to a lot of political pressure on the minister who's a political figure" says Segal. He adds that as a member of the coalition, the minister was likely unable to push through certain actions, adding "the margin of operation is very limited, for Israel, in order to solve the issue in Gaza." Military Occupation? But what is this issue in Gaza? Of course everyone knows about the fighting between the Gaza strip and Israel. As mentioned earlier, tensions exploded in a full-on war back in 2014. When the Islamist movement Hamas took control of Gaza in 2007, both Egypt and Israel quickly moved to impose a blockade of its land, air and sea space. Hamas is considered a terrorist group by certain countries such as the United States and the European Union. To many, including Weiman, this constitutes as an ongoing military occupation of Gaza. “I think if most people around the world would close their eyes and I would tell them occupation […] they would think about soldiers standing at a checkpoint checking IDs.” But this notion runs deeper than mere checkpoints he adds. "If you want to control five million Palestinians that don't want your control on them, you have to do it forcefully. And the Israeli security plan, we can say, is that all of the Palestinians should be with their heads down at all times, this is how it is easier for us to control them, this is how they won't resist us, this is how we will bring security to Israel.” The very term of ‘occupation’ however, is not very clear. "It [occupation] is a misleading term" says Segal. “There is no occupation not in the legal sense, not in the figure of speech sense. No occupation of Gaza. Israel doesn't occupy Gaza. You can argue that Israel occupies the West Bank. Not the case in Gaza. In 2005, we withdrew to the very last centimeter, we don't control even one bit of sand" he adds. Already we see that the very term of occupation is debatable. And if that is not widely recognized across the country than how does one continue to support the actions of one of the regions, if not the most powerful militaries? Directives from the top When Gazans began their Great March of Return on March 30th this year, actions taken by the IDF were already criticized by human rights groups. According to the Office of the High commissioner for Human Rights, between March and October 1st, 228 Palestinians were killed and just over 24,000 were injured. In the same time period one Israeli was killed and 40 were injured. Weiman says as a sniper posted in Gaza between 2005 and 2008, his orders were quite simple, "If you want to shoot and kill an armed Palestinian, you will need three things: means, ability, and intention." Without any of the three, also referred to as "the rules of engagement" then the trigger could not be squeezed. What we are seeing today, however, appears to be a different story says Weiman. Such changes in directives come directly from the cabinet, not the officers. "So now, when I hear soldiers are getting commands that the legitimate target is an unarmed protester, on the eastern side of the Gaza fence, it's crazy. This is not the IDF that I grew up in" laments the former IDF soldier. But to Segal, ordering a shoot-to-kill policy without abiding by the rules of engagement is unheard of. He explains that when a soldier is assigned to a particular post, there are orders of opening fire. "It's called exactly that and this is the first thing you ask when you go and take a post and you ask what are my orders of opening fire. And the normal fire, and I don't know what in Gaza specifically, but it changes very little." "It is normally when you're life is in complete risk. And the person in front of you who is threatening it has the intention and the means to do it, and this is the last resort, then you may open fire. Not in order to kill, but in order to neutralize the threat." "If such orders are in fact being given to soldiers--to shoot at unarmed protesters-- then the question remains how the state of Israel defines its operation to ensure security. The soldiers themselves cannot be held responsible for such actions." "The problem is not the army" says Weiman. "The problem is the quality of our government."